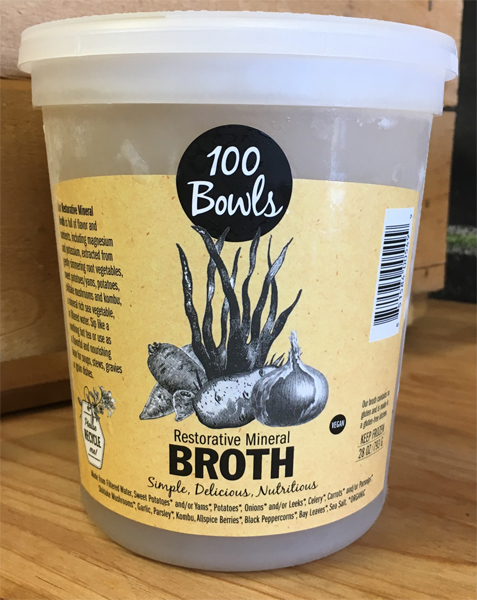 We are very happy to announce that the broth packaging designs we created with the lovely folks at 100 Bowls of Soup are complete! A big thank you to owner and founder, Katharine Mardirosian, and Jenn Ashworth for the opportunity, the inspiration, the excellent guidance and the ease and clarity in communications. Their delicious soups and broths were a great inspiration too! If you are in the Herndon area, please make a point to stop by and try their soups and broths; you’ll be hooked. 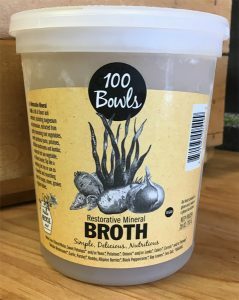 “100 Bowls of Soup makes fresh soup and bone broth weekly from local and organic ingredients. A variety of soups and broths are available for sale at their Herndon kitchen and retail store at 279 Sunset Park Dr Herndon, Virginia and at several retail stores in Northern Virginia, including MOM’s Organic Market in Herndon.” To see a full list of retailers, visit 100 Bowls’ website. Also a big shout out to the great staff at label producers, K Sidrane up in New York, for their excellent customer service and quality of product.